Connect our branding tool to your propane gas tank. 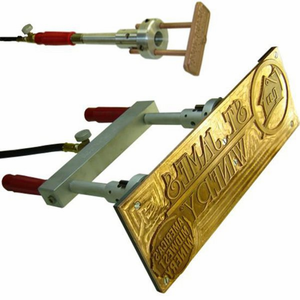 The branding iron comes with a 10’ hose and a POL connection. It connects to your propane tank, the same as your gas grill does at home.